DBC - International - Dance & Ballet Company. Provisional timetable 2018-2019 Studio Hoofddorp, Start Monday, September 3, 2018. For the first 2 weeks all classes are open (with the exception of classical selections. Dance as much as you want. It is not necessary to specify in advance. Primary school groups and ages are guidelines! We always follow the schools in their choice when determining the right group. 18 + / 28 + Is a broad concept.If there is any doubt, we will let dance level be decisive. In any case, talented students are more likely to base their choice on the level of the lesson and group than on their age. Exceptions are certainly possible but in our experience, limited to 2 to 3 pupils per season. The Dance & Ballet Company believes it is important that the right clothes are worn in the lessons. 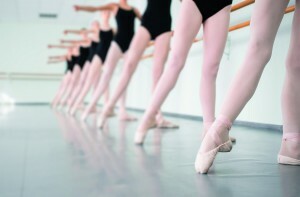 Uniformity belongs to ballet and dance. In addition, good footwear is important for the correct development of the foot. Correct shoes also prevents injuries. Angelina ballerina: black ballet suit with spaghetti straps, pink ballet tights, pink linen ballet shoes, pink cardigan and pink skirt or tutu. Classic ballet up to 12 years: black ballet suit with spaghetti straps, pink ballet tights, pink linen ballet shoes, pink or black vest and pink or black hotpants or skirt (no tutu). Classic ballet from 12 years: black ballet suit of your choice, black short / skirt, pink convertible ballet tights, pink linen ballet shoes and pointe if teacher and physiotherapist agree. Boys wear gray trousers and white shirt or ballet suit, white ballet shoes. Classic selection * & **: Galate leotard sky (light blue), pink ballet tights, pink waistband, pink linen ballet shoes. Blue / pink skirt, cardigan to your liking, black DBC sweater with your name on it. Boys wear gray trousers and white shirt or ballet suit, white ballet shoes. Classic selection ***, ****, *****: Galate black suit, pink convertible ballet tights, pink waistband, pink linen ballet shoes, black short / skirt, Black DBC sweater with your name on it. Boys wear gray trousers and white shirt or ballet suit, white ballet shoes. Streetdance / hiphop / showdance up to 12 years: Fiorentina pants, black / pink sneakers, fuchsia DBC shirt. Of course you also need tap shoes in the tapclass. Streetdance / hiphop / showdance from 12 years: completely black pants or Deha leggings, black low or high sneakers, fuchsia DBC shirt. Match teams & selection groups wear a black DBC jacket with your name on it, `Estrela’ low sneakers with pink stripes, Fiorentiana pants, fuchsia DBC shirts. `Solis’ black low sneakers, emana leggings, Fuchsia DBC shirt. Adults jazz and modern: black pants / leggings, black top or ballet suit, black jazz shoes. We do not mind if the right clothes comes with Sinterklaas. Perhaps it is useful to give with a birthday or at Christmas. We find it annoying when skirts are used from the dress up box, or dresses in all colors of the rainbow are in class. We also experience it as inconvenient when children only have the necessary clothing at the show in the end of the season. Parents indicate that it is disturbing when we don’t maintain the dress code. All students receive a registration form in September or at the time of entry. So you only register when you know which lesson you will follow. That way you know exactly what you register for and what you pay for. You can pay in 1 term in September bij banktransfer or cash in the studio. You can also indicate on the registration form that you would like to receive an invoice. Please put in a closed envelope with the name of the student and the lesson time on the envelope. You will receive a proof of payment from the teacher. Please state the full name and surname of the student. – Payment in 2 or 4 installments is possible. You must ensure that payment is made on time. -At later on, consultation via e-mail about the amount to be paid. After February, you can only start with 1 installment payment. Important: pupils aged 6 years and older apply and pay for an entire season, running from the moment of entry (usually September) to the 3rd week of June. Absence: If you miss a lesson (or more) due to illness, pregnancy or vacation, for example, you can catch up at a different time. Consult with your teacher which lesson (s) are eligible. Do you want to switch lessons, lessons, teacher and group during the season: you can! Please consult bij e-mail. Illness and absence of the teacher can in almost all cases be taken care of by the teaching team. When you take 3 paid lessons within 1 family, you receive a 15% discount on the total amount.